It’s hard not to get carried away with Virtual Reality. 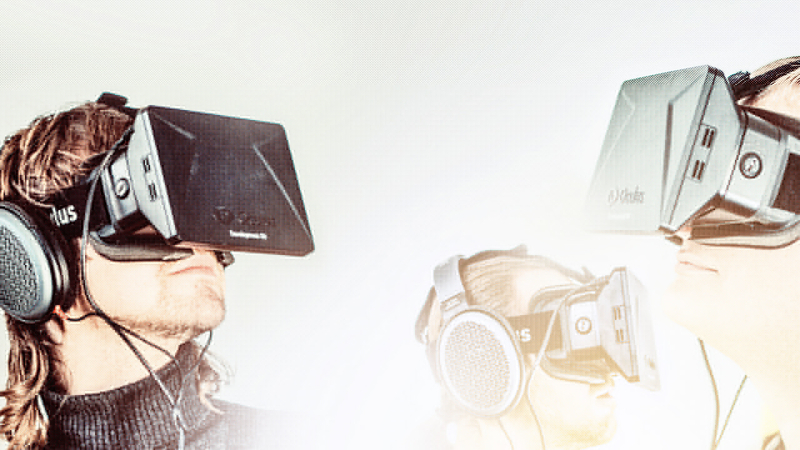 If you’ve ever been on an Oculus Rift powered roller-coaster then you’ll know what we mean. VR headsets are big news right now and a whole range of options are hitting the market, including DIY Google Cardboard kits. Universities are already launching their own VR tours and institutions are likely to seize the potential, especially for showing their campuses off at international recruitment fairs. 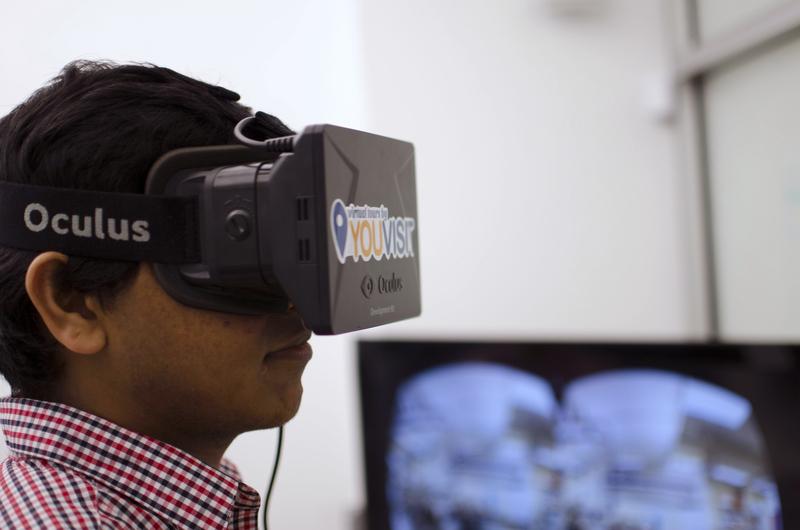 Check this TechCrunch article to see how YouVisit are pioneering VR on US campuses. In the UK, the University of Bolton was sharing a very popular virtual driving experience with aspiring students on the UCAS roadshow. Perhaps some will go further – encouraging people to don a headset to sample actual lessons and projects. VR certainly has the power of immersion – and it’s already being used to simulate surgery in medical schools, and even the art of flying thanks to Zurich University of the Arts (learn more about the Birdly initiative). Once Virtual Reality goes mainstream (when Hollywood leads the way), then expect to see the technology everywhere. Until then, you have to try the roller-coaster! The so called ‘Internet of Things’ is emerging rapidly. Cisco have projected that over 50 billion devices will be connected by 2020 and we can already see the most ordinary things operating with a digital connection. Grolsch bottle tops have been embedded with bluetooth to purchase films on laptops, charity shop windows can receive donations from your smartphones, and the coolest houses have fridges that tell you when the food’s about to go off. You can even watch TV now with a ‘Syfy’ app that responds to the sound of programmes to serve up relevant content on your phone, and, if you have the special Philips Hue lights, dim the lighting at the scariest moments! We expect universities and colleges to get very excited by the prospect of iBeacons connecting their campuses with devices – for sharing content at open days, or simply enabling a much greater student experience. So, just as we can expect to walk into supermarkets and receive communications from the shelves, so we will probably get an array of alerts and opportunities when we walk into a university. 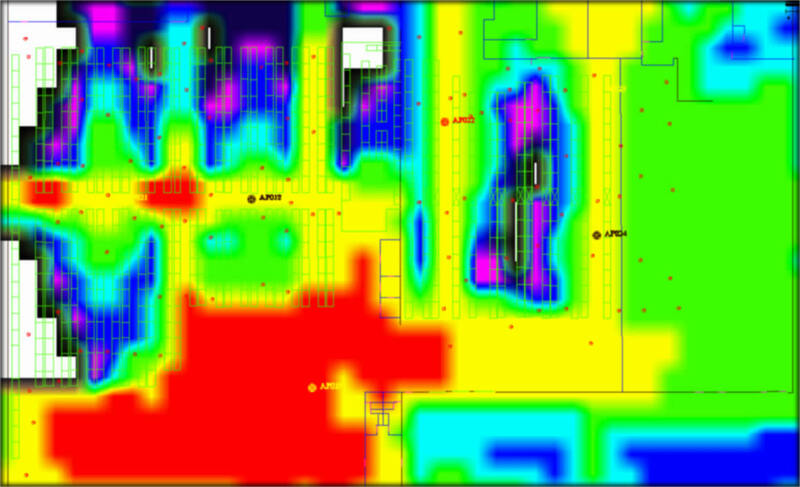 And, just as retailers are using iBeacons to create heat-maps of footfall, imagine universities doing just the same to help plan the very best tours for new students. 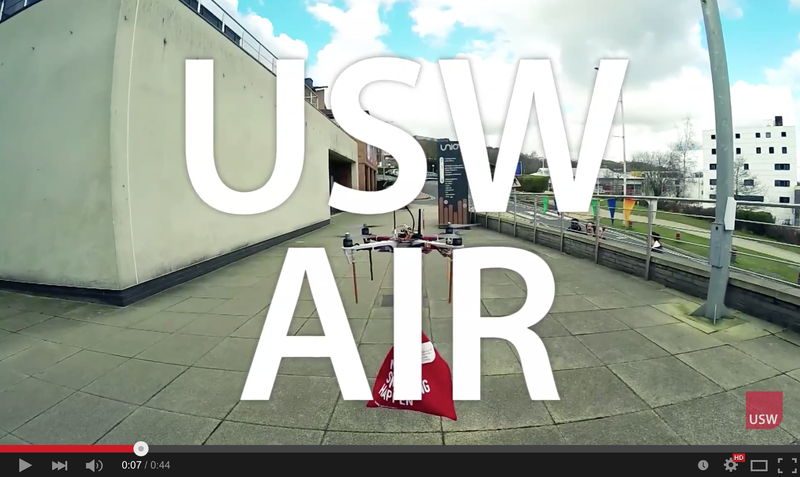 Ok, so the University of South Wales flew a little too far into fantasy with their recent ‘Air USW’ drone-delivery April Fool but this is a university that really has welcomed the potential of drones on campus. They’ve a number of campus fly-through tours to their name already and have even worked with their technology students to create lightshow films on the local marina – a perfect way of showing potential students what they can get involved in. In the Netherlands, TU Delft have also embraced student partnerships, creating a working ‘Ambulance Drone’ from a student design. The drone can rapidly deploy defribrillators in an emergency, and with over 2m views of their video, the University are certainly using the story to boost their reputation for innovation. Whilst we are seeing flying robots take to the skies, we’re seeing a completely different kind of robot settle into the office. 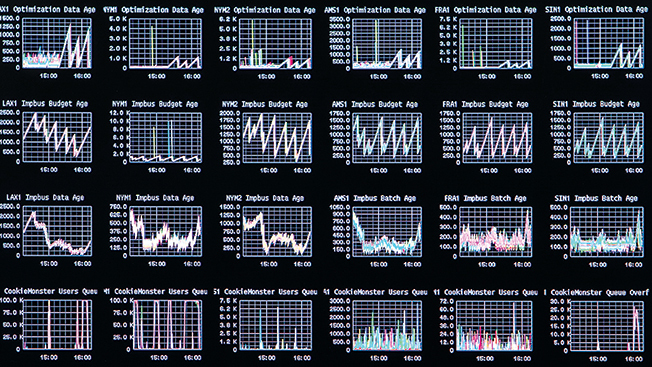 Programmatic media buying is essentially a machine-to-machine transaction. It’s an automation of data-led decision making, focused on maximising demographics, user behaviour and brand affinity like never before – able to bid for media in real-time after just 100 milliseconds of artificial thought! We’ve seen some of the world’s biggest advertisers, including L’Oreal and P&G, shift to this technology in recent months, and it’s been claimed that 80% of online advertising is now bought programmatically. So, it’s no surprise that universities are looking at how they too can benefit from the ultimate audience-targeting technology. As Facebook powers up its latest Atlas platform, and others follow suit, then expect this to be a big growth area for Higher Education marketers in forthcoming months. Vending machines? Really? Ok, it’s a bit of a wild card but it’s certainly one to encourage a little more creative thinking. We can learn from how Walkers put a virtual Gary Lineker in one of their machines to encourage conversation – you had to tweet Gary to get your crisps (see the video here). Mars too used their own #Tweetshop vending machines across UK campuses to start a conversation in exchange for both chocolate and Graduate scheme details. 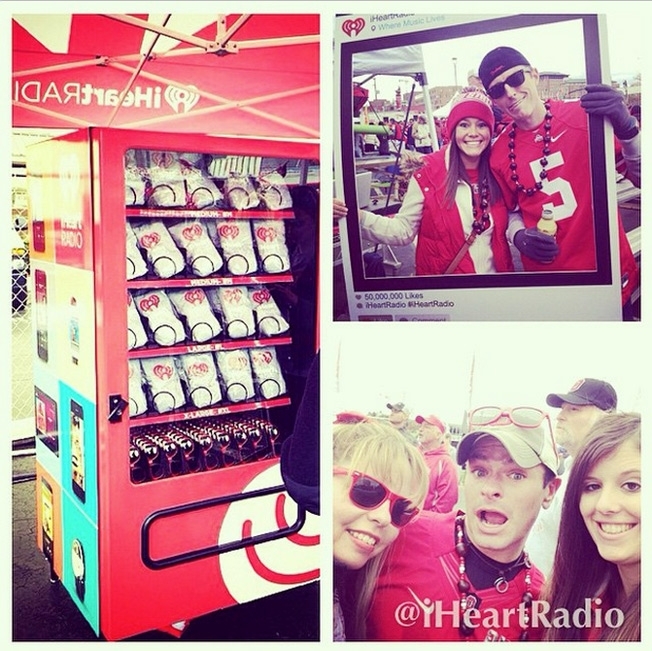 And, more recently we have seen iHeart radio make themselves heard on American campuses, sharing promotional merchandise in exchange for a tweet. So, what’s the benefit? Apart from the actual experience of giving and receiving something useful, there is the social dialogue that can be triggered. iHeart radio generated 5.7m impressions in their first week. And, then there’s the conversation itself – a chance to talk about the brand a little more and possibly kickstart a mutually beneficial relationship. 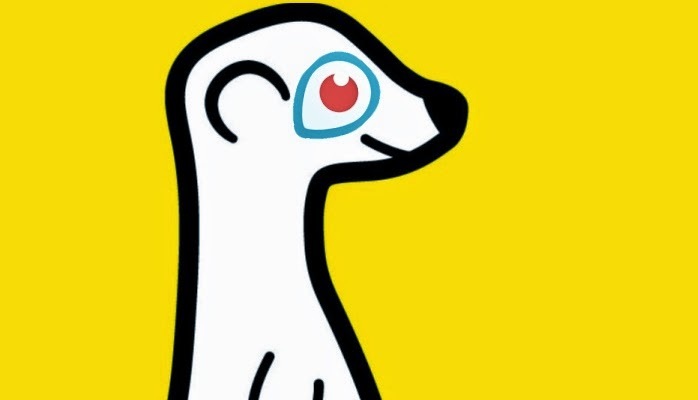 Everyone’s been talking about Meerkat since it stole the show at SXSW2015 in Texas. 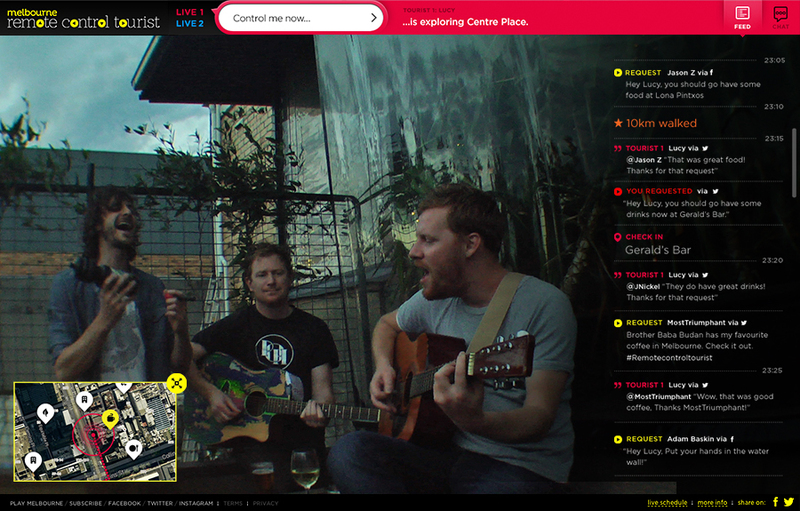 The whole concept of live video-streaming is certainly catching people’s attention. And no sooner have we got excited about using Meerkat to broadcast real-time into social feeds, then Twitter announces the launch of Periscope – its very own version. This technology opens up all sorts of possibilities and will undoubtedly contribute to the evolution of news and entertainment. Have a look at Mashable’s examples of just what’s happening right now. So what about Higher Education? Well, what an opportunity to broadcast open day events, to share graduation ceremonies and degree shows, to open up lessons and research experiments. What about messages from the leadership team, or from existing students? And how about some behind-the-scenes access to events? The list is endless. Watch out for lots more live-streaming this year. Just as Meerkat and Periscope could lead the way with user-generated video streaming, You Tube are raising the bar with video interaction. YouTube 360 enables viewers to click on the film and direct the view – perfect for showcases and tours in which we want our audience to feel in control. Perhaps this will be another way that universities bring their campuses to life, especially for international audiences. The idea of ‘remote control’ can be taken up a few notches though. Four ‘virtual tourists’ in Melbourne, complete with bikes and webcams, responded to almost 9,000 worldwide social media requests to show off various parts of the city. It’s worthing watching the case study to get some inspiration as to how universities could use their own ‘remote controlled students’ to bring their experience to life for potential applicants. Or, have a look at how Norwegian Airlines enabled shoppers in Oslo to take control of a New York taxi to get a live broadcast of the city – all to encourage more people to fly over to the US. This remote control idea is definitely one for Higher Education marketers to switch onto. No matter how advanced the targeting, and how relevant the platform, you still need the very best creativity to stand out from the crowd. That’s why we have to mention the latest billboard from Peruvian university UTEC. Fresh from winning global awards for using a billboard to create drinking water, they moved onto generating clean air. Read the story here. It’s a great example of how technology and creativity can combine – in this case reinforcing the engineering credentials of the University. 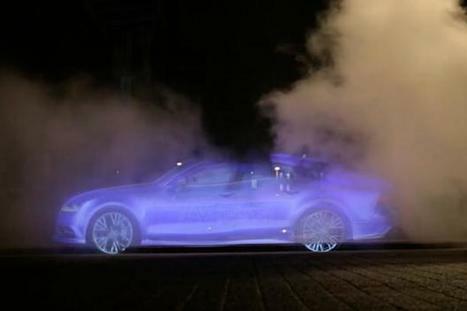 And if you want a wider world example of a creative ‘billboard’, have a look at Audi’s recent creation – made in steam! In a world of automation, robots and the ‘Internet of Things’ it’s great to see that imagination can still work the magic.